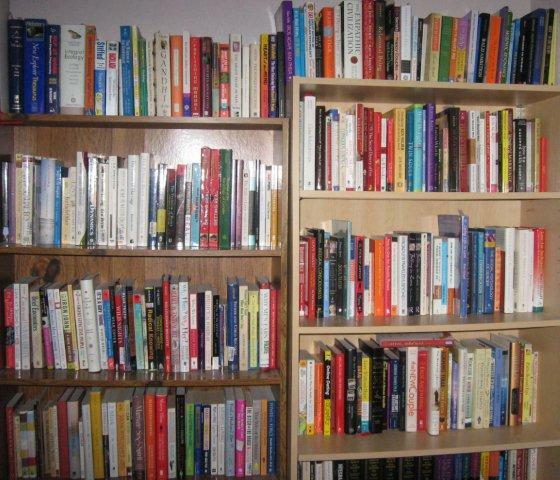 The pictures below may better illustrate the point that I was trying to make in my last newsletter. Ken Wilber spent 30+ years to create a framework of the entire territory of human growth and potentials. He considered all recurring patterns of human wisdom and knowledge from the East and West and integrated the largest amount of research from the greatest number of disciplines-including the natural sciences (physics, chemistry, biology, neurology, and ecology), art, ethics, religion, psychology, politics, business, sociology, and spirituality-that had stood the test of time. The result was his Integral Model (documented in his books below) which has already been used in such fields as politics, ecology, economics, medicine, law, art, management, education, and spirituality. I am eternally grateful to him! 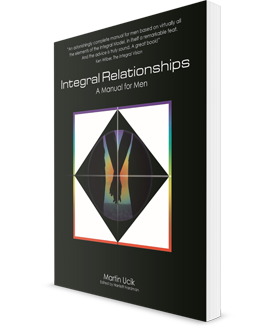 Integral Relationships: A Manual for Men applies Ken Wilber’s Integral Model to the co-creation of healthy sustainable love relationships by integrating the wisdom from the 200+ relationship books above with my own experiences in two long-term marriages and as a divorced father of four daughters into a complete map of today’s relationship territory. 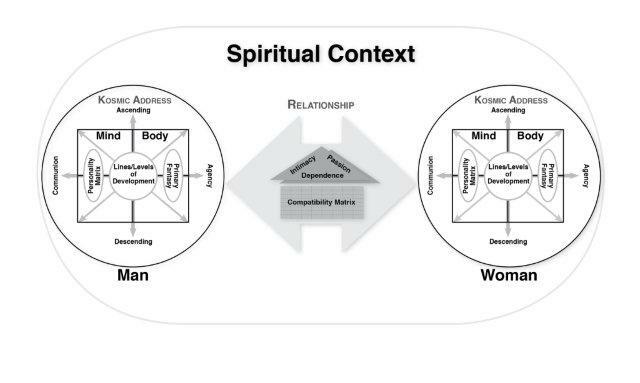 I want to inspire you to become integrally informed about all your relationships (even if the above image may look complex at first) and to do your best to create a sustainable future for all humanity by co-creating a sustainable love relationship with a compatible partner that serves the greatest good for the largest number of people. Am I asking for too much??? We now have the relationship tools and knowledge, but they are useless (as the increasing numbers of singles and unhappy couples clearly indicate) if we don’t put them into an Integral Context and apply them to our day to day love life. It pains me to no end to see our love relationships, our economy, and our environment go down the toilet, and I want to invite you to help turning the tide. 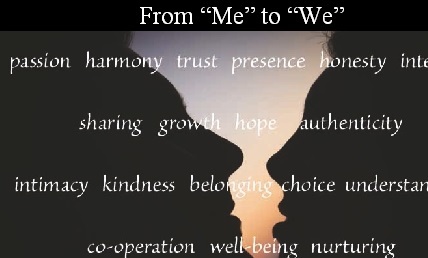 We need to move from “me”, to “we”, to “us” to “all of us”. It is a Chain of Being or a Natural Hierarchy!